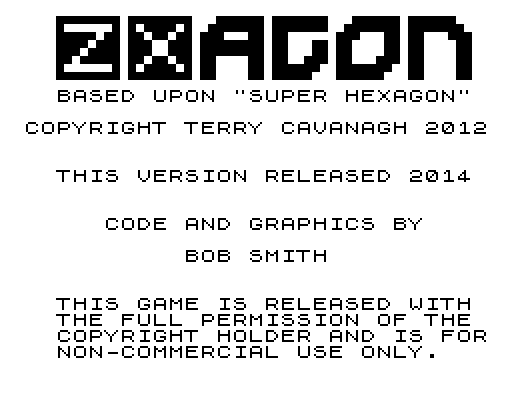 My interpretation of Terry Cavanagh's masterpiece "Super Hexagon". 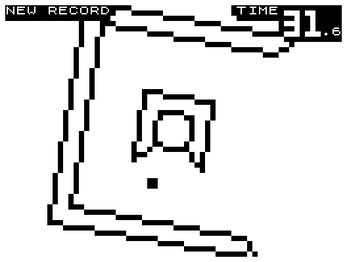 It's always good to set yourself a challenge (last year it was converting Ant Attack to the ZX81) and try to push outside of what you know to be possible. 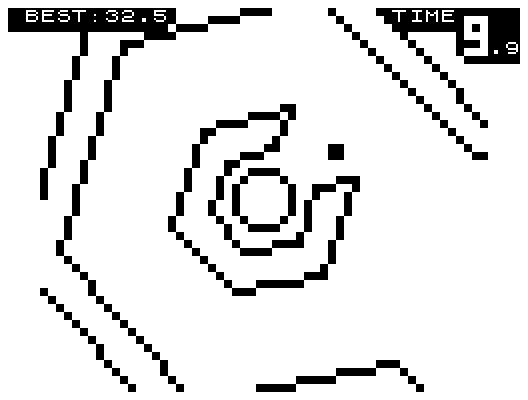 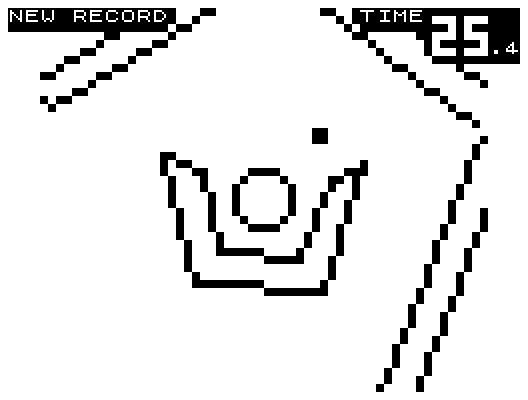 Super Hexagon is a simple piece of software in concept, but the ZX81 is a simple piece of hardware in reality, and was never designed to handle fast full-screen geometry. 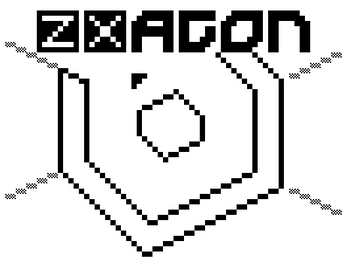 Originally, as a test to see what it might look like, I wrote the foundations of the game in BASIC - and it took about a minute to draw a single hexagon! 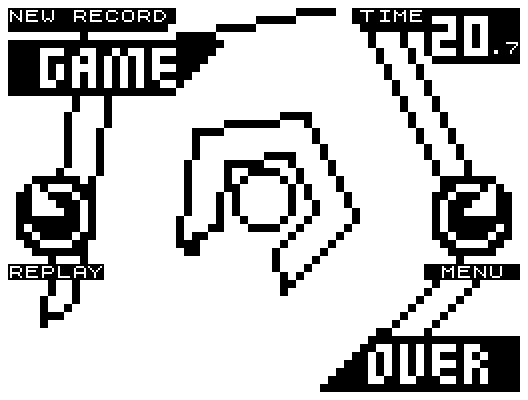 The final frame-rate is a pretty consistent 10fps, and that has taken a lot of work, and a slightly reduced screen size (it's drawing the middle 28 columns of the 32 column screen, so 2 either side are unused), but I think it works well. 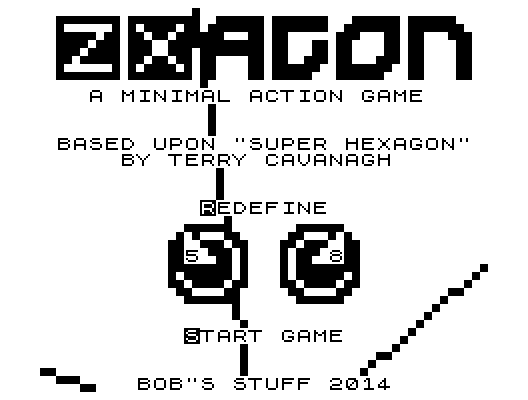 Terry's various modern versions, and also the recent C64 conversion (Micro Hexagon), all display solid graphics, but there was no way the ZX81 was going to handle that, but I think that doing it in wireframe adds to the 'clean' look, fits with the white background, and also allowed for the shape changes to pentagons and squares of the original. 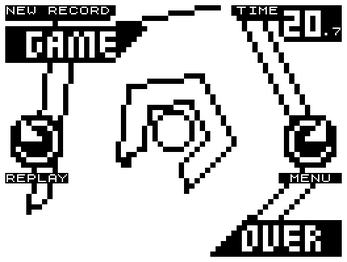 Another change is that this is now an endless spinner - as the ZX81 doesn't have persistent storage having an progress/achievement based system wouldn't work so well, and in this respect it matches the C64 demake. 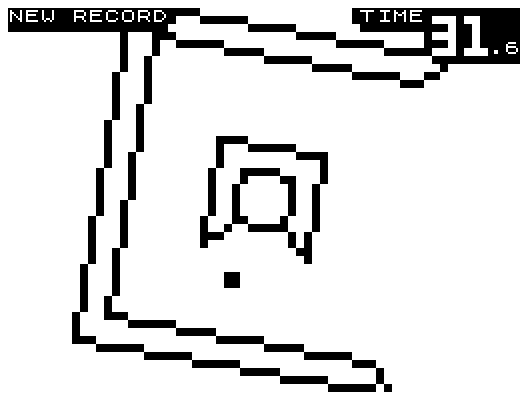 I say endless, but it will end if you manage to play it for 1000 seconds - which is just over 16 minutes - and that would be a truly huge accomplishment!